Will fill inadequacies in plant nutrient absorption. Full mineral profile of 100 chemical elements. Developed from sea water through concentration and removal of sodium. Increases calcium and magnesium availability. 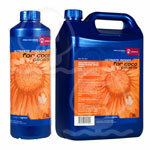 Reviver for most plant health issues and will green up foliage. Increasing of chlorophyll will result in higher photosynthetic rates. Phosphorus is an important energy compound in plant metabolism resulting in larger flowers. Potassium is essential for the existence of plants and optimizing of photosynthetic activity. A developed range of organic, organic based fertilizers and additives that have been formulated to maximize the plants genetic capabilities. The ingredients we use to formulate the bloom products are mostly derived from plants, fungi or the earth. The range is developed into a system to produce the best quality and results of your floriculture system. 100% organic bio-stimulation and the natural foundation of a healthy hydroponic, coco or soil growing system. By naturally recreating the conditions found in good, rich, organic topsoil, Bactivator offers unrivalled bio-stimulation leading to enhanced compact vegetative growth, and raises the potential for profuse fruit and flower production later in the growth cycle. Bactivator also provides a natural microbial defence system to resist fungal infections such as pythium and phytopythoria by removing their food sources, which prevents an infection taking hold. Having a strong symbiotic root relationship with Bactivators essential and beneficial microbes also ensures your plant has a greater resistance to pest attack. The first part is a microbial blend which performs two functions. The first benefit is an increased lateral rate of vegetative growth with shorter internodes and increased branch formation. The second is a flowering site trigger signal response to stimulate the production of an increased number of flowering sites, which means added flowers and fruit at harvest. A supplementary effect of this microbial interaction with your plant’s leaves and root system is an increased Brix (sugar content) content in your final product resulting in denser fruits combined with rich aroma and taste. Top Heavy Crop is used one or two weeks before flowering and until you begin using Triple F. It is also used during the final flushing period. You will immediately see the power of Top Heavy Crop at work once you begin using it as part of your nutrient program. A formidable new growth and flowering enhancer. The legendary Triple F was developed by us in 2003, rapidly proving itself to be the best floral stimulation and boost product available for all growing media. Triple F is a 100% natural microbial based fruit and flower booster delivering up to a 50% yield increase, without the use of Plant Growth Regulator (PRG) chemicals, some of which may cause harm to those using them. Triple F has no health risks, no environmental dangers, just great results every time. Triple F comes as a two component pack. The first component of Triple F is a blend of beneficial micro organisms that work in harmony with your chosen growth medium and your plants roots to enhance nutrient uptake. The second component is an organic microbial catalyst liquid that acts as a food source for the microbes and complexing agent, which is required during the developing symbiotic relationship between the micro organisms and your plants roots. Available in 1 litre, 5 litres, and 25 litres. BiOpOnic Head Start is a combined full spectrum nutrient concentrate, specifically developed with the biochemical and nutritional needs of young plants and cuttings in mind. Your plants potential yield is strongly governed by the nutritional profile supplied during this critical stage of plant development. As biOpOnic Head Start supplies both trace elements and major elements at the correct levels and ratios it ensures a smooth and stress-free transition from the propagator to your grow system. Available as 1 litre formulated for soft water or area specific formulations. During vegetative growth when plants are growing vigorously, nutrient assimilation via the roots may fall short of your plants needs. This is often due to environmental stress. To overcome this biOpOnic Leaf Feed can be applied as a foliar feed to encourage extensive branch formation. In addition to a balanced nutrition biOpOnic Leaf Feed supplies essential amino acids, enzymes and growth enhancing stimulants for biochemical balance within your plant. We do NOT advise spraying your plants in full light as this may scorch and damage the developing foliage. During the first weeks of the flowering period your plants nutrient requirements increase significantly. It is critical these needs are fully met at this stage since during this phase of growth your crop yield is heavily dictated. BiOpOnic Flower Feed is designed to supply additional nutrition and the essential bio stimulants necessary for maximum nutrient absorption in your plant, in preparation for a bumper harvest. During the mid to late stage of your plants bloom cycle the plants nutritional demands change further, by continuing to rise. 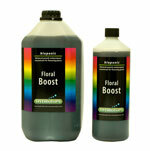 To meet this demand biOpOnic Floral Boost enhances the levels of phosphorous, potassium, magnesium, and ammonical nitrogen needed for profuse setting of flowers and fruit. Towards the end of the flowering/fruiting phase nutrient intake slows down, yet there are considerable nutrient reserves left in the plant sap. If these levels are not depleted before the fruit is harvested, the resulting crop will have a bitter, metallic taste. By using biOpOnic Flush to supply the correct ratio of enzymes, organic plant hormones and catalysts, you enable your plant to remove as much of the excess nutrient stored prior to harvest. The use of biOpOnic Flush can be considered as important as using a PK booster to enhance flower production, and therefore yield. Available in 1 litre and 5 litres, formulated for soft water, hard water, area specific or custom formulations. When designing our biOpOnic nutrient range back in 1998 the principal aim was to combine organic horticultural chemistry with the spirit and ethos of the organic grower, drawing upon in-depth knowledge of hydroponic growing and nutrients. HYDRoToPs was the first UK based nutrient manufacturer, and whilst our products have evolved over the last 16 years our aims have remained the same; to produce high performance bio-organic nutrients that deliver consistent outstanding results for both hydroponic, coco and soil growers. A powerful root stimulator which ensures the explosive growth of the roots. 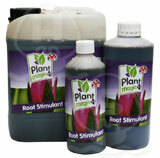 Roots Stimulator encourages rapid root development in the early stages of the plant's growth. Ensures the explosive growth of the roots and rids the plant of brown roots. Has the ability to extract sugars from the leaf of the plant and transfer them to the fruit increases the size and robustness of the flower and plant yield. Algen Extract is one of the best kept secrets in the House & Garden range. Extracted from seaweed, it is a powerful growth stimulator. It contains large amounts of the necessary micro and macro nutrients that your plants need, as well as very high levels of natural hormones. Find out more.. Using Amino Treatment guarantees abundant growth and explosive flowering of your plants. After many years of research, House and Garden presents this revolutionary growth and flowering booster. Find out more.. It's an entirely new product, containing a well balanced combination of active ingredients. 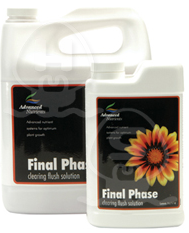 FINISHER is a must have for use in the last 3 weeks of the flowering stage. Precisely designed for the heaviest harvest, FINISHER is a unique blend of organic enzyme activators, vitamins, essential amino acids and carbohydrates. The ingredients combined will unleash the full flowering potential of your favourite plants or herbs. MASSIVE is a high performance organically derived flowering cycle nutrient, enhanced with vitamin B plus all the necessary micro elements including the natural occuring hormones. To increase flower size, taste, faster cell division, healthier, more colourful,larger crop yields. A one part, start to finish, all natural nutrient. Ata Clean prevents and removes mineral deposits of Calcium, Iron Phosphate and algae. Contains biological minerals in combination with biological stimulants to create a one of a kind nutrient additive specifically designed for the flowering and ripening of your plants. A combination of growth and bloom stimulators, Simple and effective. 100% natural multi-enzyme preparations with more than 14 different vitamins. Atazyme speeds up the breakdown of dead plant remains and reinforces the plant's natural defence system. A cleansing agent for irrigation systems. Contains 25 plant-active vital elements that provide a source of strenght for the plant in the soil. Stimulates the production of growth and flowering hormones in plants. Pythoff is a broad spectrum disinfecting agent based on monochloramine that will sterilise your entire hydroponic system to ensure maximum plant performance all year round. Pythoff maximizes the effective working life of water and nutrient, and helps prevent plumbing blockages (e.g. drippers, jets, filters, pumps). * Note, Pythoff is not compatible with hydrogen peroxide or beneficial bacteria. As with all products it is advisable to test compatibility prior to routine usage. Use 2 ml of Pythoff per 10 Ltr of working nutrient every 3 to 4 days or daily if system is under stress. An ORGANIC additive containing naturally occurring microbes and fungi designed to encourage growth and increase pest and disease resistance. An enzyme based product used as an additive to grow healthier plants that have an increased resistance to bacteria and fungal infections. Halo is a plant additive designed to improve strength and activate the plants natural defence system. 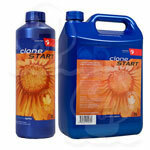 Helps reduce yellowing in cuttings and to help promote aggressive vegetative growth in young plants. It contains organically sourced minerals and plant extracts. By adding a little Liquid Black Humic Crystal it effects how the plants roots take up nutrients and enables the plants to consume nutrients more easily. Liquid Gold Fulvic Acid is made from the finest humate extracts available and has an amazing impact on floral crops. Will also increase the dry weight of any plant. Water treatment that prepares floral crops for harvesting and drying. It ensures that all nutrients are used and 'cleared' from the plant ensuring a fresh natural taste. When diluted in to the nutrient solution the silicon is designed to strengthen the cell walls and optimise photosynthesis and so provide a barrier against attack from pests and diseases. It can also be used as a foliar spray to help resist bacterial attack to leaves. Add to any non-organic nutrient solution to increase the oxygen content, this can lead to greater photosynthesis and give you healthier plants. Also used to clean out systems between crops. Do not use with beneficial bacteria! Promotes root growth. It is rich in vitamins and trace elements which ensure that cuttings take root quickly Also increases the plant's general resistance levels. An enzyme product that had been developed to break down dead plant remains. This keeps the substrate free from unwonted dead roots and the harmful micro organisms. Add to the nutrient solution at least once a week, preferable continuously. When you use older (untreated) slabs, double the dose for a one-month period. Contains minerals that stimulate flowering and greatly increase the yield by giving extra food to the flowering plant cells. Additives are products that are used alongside the main nutrient and can roughly be divided in two groups.One improving plant health and yield (found in the classic CANNA twin bottle) the other improving and correcting the nutrient solution (found in a white round bottle). Caution: Do not use with H2O2. Store in a cool dry place away from children. 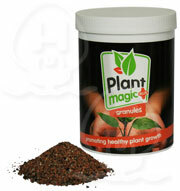 Granules is a granular innoculant made up of Mycorrhiza,bio-stimulants and over 20 strains of microorganisms. All these work to create an abundance of beneficial micro life within the soil. BioSilicon is specially formulated for soil / compost applications containing a unique blend of humic and silicate to ensure optimum availability. Veg Boost is a powerful bio stimulant used to increase the activity of beneficial microorganisms and soil bioactivity. 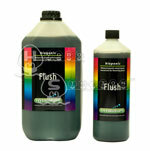 This Flush is designed specifically for the UK market. Many water samples country wide have been analysed to bring to you the best flushing agent for your food crops. Bio Balancer introduces and encourages the development of beneficial micro organisms into your hydroponics growing system. 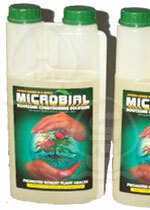 These micro organisms protect your plants against diseases and assist in the uptake of nutrients. Essential Nitro is an effective nitrogen boost for use in the growth stage. 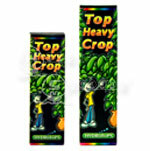 It increases chlorophyll levels, produces luxurious green foliage and stimulates vigorous growth. Use Head Masta alongside any nutrient in any system, hydro or soil and it will really enhance the quality of the plants you are growing. Regen-A-Root is a powerful root stimulator that also has the advantage of protecting the root system and restoring roots that have been damaged by disease. 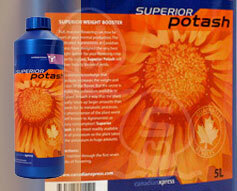 Superior Potash is a flowering additive that will add finished weight to your harvest. Made using the Hot Mix Technology pioneered by Canadian Xpress, this is a PK boost that delivers results like no other. 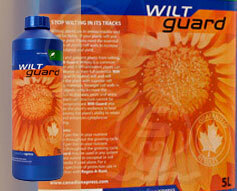 Wilt Guard protects your plants against the wilting caused by root diseases and eliminates the effects of pythium using the Induced Resistance strategy that Canadian Xpress are renowned for. Canadian Xpress fuse the most advanced manufactured fertilizers with the finest organic blends to give your plants the perfect nutrition. The cutting edge of a new system of crop nutrition which is aptly named Fusion Nutrition. An all organic B vitamin supplement, an alternative to synthetic B vitamins. Organic B is made up of three unique yeast extract hydrolysates that together give a balanced feeding. B-52 consists of a selection of naturally occurring hormones and a range of plant vitamins. Piranha powder uses a blend of six super strains of fungal spores to continually rejuvenate your rootzone and promote incredible plant growth. A liquid suspension of five enhanced strains of beneficial microbes that colonize root systems and greatly enhances overall plant growth and health. Acts like a vaccination for your plants, it works by increasing plants resistance to disease and pathogens. A concentrated growing medium inoculant that will give you incredibly vigorous plants and healthy overall plant development. Plant scientists spent years looking for powerful ingredients that make a big difference to your plants. Rhino Skin contains potassium silicate that strengthens plant cell walls so they're sturdier. Bud Candy greatly enhances the flavor and aromatic properties of your fruits and flowers. Contains optimized ratios of Phosphorous, Potassium, Magnesium and Amino Acids that dramatically increase growth, width, weight and resin production. For incredible flower, growth and quality, choose Colossal Budblast. A superior foliar spray which promotes the absorption of the organic nutrients and hormones necessary for faster flower growth. Your plants will produce the impressive harvests you seek without providing fuel for gray molds that can destroy a harvest overnight. A late flowering booster that is essentially a large dose of phosphorous and potassium designed to pack on girth and weight in the last weeks before harvest. Used during the first week of flowering to promote a faster onset of flowers and to reduce internodal stretch. An excellent additive for the last half of the flowering cycle Advanced Nutrients Bloom Booster is a superior bloom enhancer. Increases soil's water holding ability, improves soil structure, promotes conversion of elements into bio-available forms, promotes and much more. Enhances nutrient uptake and increases root formation and respiration. Seaweed Extract is a 100% Organic nutrient additive that has been proven to be the richest, most nutritional seaweed extract available on the market. Gives a time-release dose of goodness to the root zone, and is also a powerful foliar feeder when used as a spray. Contains nearly 100 different enzymes that break down root zone components into nutrients, accelerates nutrient uptake of starches, carbohydrat-es, and other elements necessary for rapid growth and high yield. A multi-purpose booster that gives plants an energizing dose of vitamins and nutrients. Specifically designed to increase growth rates, yield, vigor and quality in vegetable, flower, and fruit crops. Wet Bettys 100% organic surfactants deliver nutrients, hormones and bio-catalytic agents directly to leaves and roots for immediate use by plants. Give plants a good start, and they'll reward you with fast growth, fantastic harvests. Sends super-chelated iron, zinc, calcium, nitrogen and other crucial nutrients to rush in and save your plants. Very High Output is the only formula that makes motherplants and clones work together for guaranteed cloning success. Safe and effective foliar hydroponics treatment that helps clones survive. A flushing agent designed to ripen your plants and cleanse them of accumulated nutrients and chemicals in the final days before harvest. Power to Bloom - just another little blue powder fertilizer? NO! Power to Bloom is a proven flower booster, its unique chemical make-up produces large abundant flowers, whether on your fruiting crops, or simply for your blooming ornamental. We do not want to give too much info on this product because it works fast and everyone will be trying to copy our formulation. About Growing Edge Technologies "G.E.T"
Growing Edge Technologies owner's have been leading the industry since 1985 in the indoor gardening sector. The two people responsible for our plant food's, have over 60 years of practical experience in formulating and creating some of the best nutrient programs in the world. As all gardeners and growers know, a plants requirements for specific nutrients and micro-nutrients changes as the plant moves through their various cycles of growth. We paid particular attention to these changing demands and designed all our products to satisfy each stage of growth - from the seedling through to the final harvest. We offer a full line of complete nutrient programs as well as additives and boosters to compliment one another. Our Let's Garden plant food boasts a rigorous two part Grow and Bloom formulas for use in soil, soil-less and hydroponic gardening scenarios. We also offer a one part “Let's Garden Series” which can be used as a stand alone food program in outdoor gardening applications and as a wonderful compliment to the full nutrient program of Let's Grow and Let's Bloom formulas. Whether a heavy or light feeding crop you will be guaranteed to find the proper balance within our product lines. Will strengthen the plant walls producing stronger healthier plants with massive root systems and increased resistance to pests and disease. A revolutionary one part nutrient meaning no more A's and B's. Because it is a one- part soluble powder PPP is a simple alternative to liquid nutrient. Provides all necessary stimulation of the growth of flower cells and also increases the production of sugar molecules and their transport around the plant. Ensures a strong growth of the roots and reduces the chances of root diseases like root lice and Fusarium. Plant booster to avoid damage by harmful insects and fungus attack. "...the most important discovery in horticulture in recent years"
Microbial acts as a micro-cleanser and plant conditioner, which cleans and rejuvenates plants. This allows the plant to naturally withstand attacks from common pests and biological contaminants like bacteria, fungi, algae and viruses. Microbial can either be applied directly onto the leaf surface or as a rootzone additive. Budlink is a silica based nutrient additive and can be used to increase weight and bulk as well as strengthening your plants.